Vellore Institute of Technology University, one of the premier institutions in the country, is mulling expansion to Andhra Pradesh by setting up its campus in Amaravati. A few days ago, the Andhra Pradesh Capital Region Development Authority conditionally allotted a large chunk of land to the university in the capital region, it is reliably learnt. However, the allotment of land to VIT and other educational institutions by the CRDA is expected to come up before the State Cabinet . According to sources, the university sought at least 150 acres of land. The CRDA fixed land costs at Rs. 25 lakh per acre if it is leased and Rs. 50 lakh per acre if the land is purchased. On the other hand, the State government also expects the university to provide higher education in various streams to at least 5,000 students in eight years from the start. There are Central government norms for allotment of land to universities. The Cabinet, after studying the issue may give the approval. As soon as the Cabinet approves the land allotment, universities can start building their campus and begin class work from the next academic year, that is, 2017-18. It may be worth mentioning that VIT is one of most chosen out of the state universities by engineering aspirants from Andhra Pradesh every year and setting up of the same in Amaravati would help thousands of them. The VIT management can take a final call after going through the offer of the government. 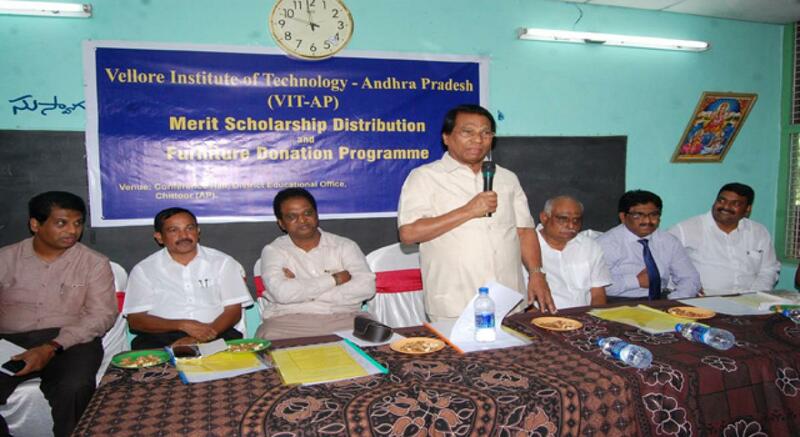 Chittoor: In order to expand its services in Andhra Pradesh, the management of the Vellore Institute of Technology (VIT) will establish its centre in Amaravati soon, chancellor of the institute Dr G Viswanathan said. Addressing a meeting held at Chittoor DEO Office on Thursday, he said the institute was established in 1994 with a total strength of 180 students, and over a period of time it had become one of the prestigious institutions with 32,000 students currently pursuing their degrees at the institute. Today, it attracts students from 55 countries globally, he added. Expressing concern over deteriorating standards in education, he emphasised the need to strengthen government institutions. “It is the need of the hour to ensure that government employees send their children to government schools only. This will certainly help improve the education system,” he observed. He thanked Chief Minister N Chandrababu Naidu for providing 200 acres of land in the upcoming capital city to set up the centre. Dr Vishwanath said the campus in Chennai exudes a cosmopolitan ambience, with students drawn from all parts of the globe by conducting international conferences, symposia, works shops and cultural events for moulding the students in to holistic personalities, he added. Over 340 well known industries across the globe are coming to the VIT campus for recruiting every year. Thus the students of VIT get an opportunity to work on ongoing live projects which is a proof of it’s excellence in higher education. 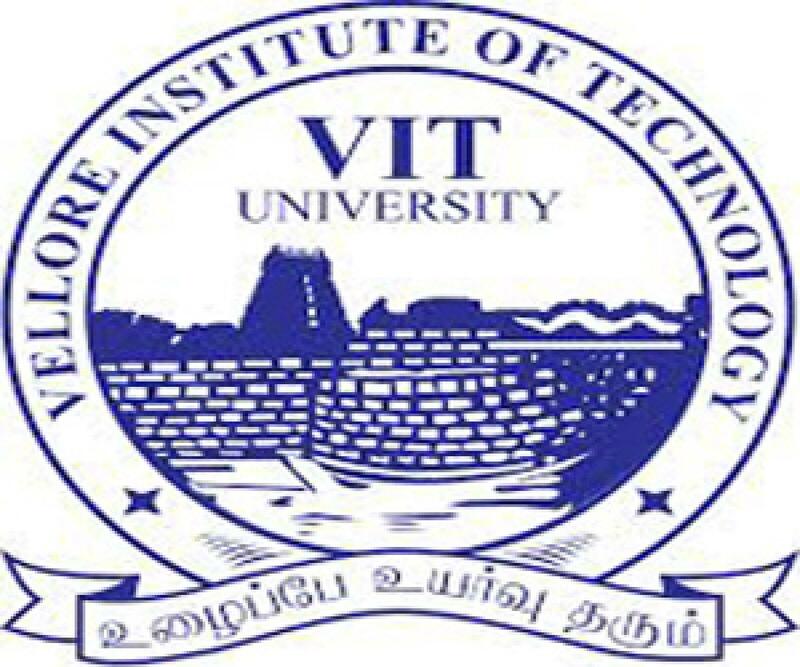 Vellore Institute of Technology is making a foray into the fashion world with the launch of VIT Fashion Institute of Technology (V-FIT) in their Chennai campus. It is also planning to start a new university in Amaravati next year. Inaugurating V-FIT, P. Mohammed Ali, founder, Galfar Engineering and Construction Company, Oman, said that V-FIT provides ample opportunities to students to create new fashions and models. The students should uphold the tradition of India while creating new designs. Anitha Mabel Manohar, director, National Institute of Fashion Technology, Chennai, in her address said that the job opportunities in the fashion sector were aplenty and there were lot of avenues. She said that the B.Tech course in fashion technology will impart training in six different designs, i.e., accessory design, leather design, technology design, knit wear design, textile design and fashion technology. Speaking after the inauguration, VIT Chancellor G. Viswanathan said that the Andhra Pradesh Cabinet has decided to allot 200 acres of land to VIT. Work on construction of the new university campus at Amaravathi would start after getting orders from the Capital Region Development Authority (CRDA), he said. “Andhra Pradesh Chief Minister wants us to start admission next year. He wants us to have it as a comprehensive university with courses in engineering, medicine and other sectors. We will begin with engineering programmes and then move on to other areas,” he said. Sriramulu Balakrishnan, Managing Director, KG Denim Limited, Coimbatore, gave away cash prizes on behalf of VIT to the Plus Two toppers from six weaver families of Kancheepuram. Kadhambari S. Viswanathan, Assistant vice-president, VIT, said V-FIT will impart hands-on quality skills in fashion technology. The institute is equipped with a patent laboratory and a resource hub established at a cost of Rs.1.5 crore, she said. Vijayawada: The Vellore Institute of Technology (VIT) is all set to be established as the first university in the capital city Amaravati. The foundation stone for the institute is likely to be laid at Inavolu on November 3.It will be the first such institute to come up at the capital city. Earlier, the state government has allotted 150 acres in the capital for the university. Apart from VIT, the state government has also sanctioned a large chunk of land to other private universities like Amity, SRM in Amaravati. Almost over 550 acres of land has been given for the establishment of these universities. However, the student organisations and many other educationists were opposing the decision of the government. They demand the government to concentrate and pay interest towards the government-owned universities and institutes rather than encouraging the corporate education. “The state government is more focused to do business in the name of education. The state is totally incapable of getting funds and universities from the center even though it is stated in the reorganization act. Over 17 government institutions including 7 universities lack in completion of compound walls, even after a period of two years. The private universities in Amaravati are meant for a corporate business and for the dilution and degradation of government institutions,” says Noor Mohammad, SFI state president. The universities which are under the state government like IIT Tirupati, IIM Visakhapatnam, NIT Tadepalligudem, IIT Kurnool and AIIMS Mangalagiri are no where completed their basic constructions. Some of the universities were also going with academics although they lack in basic amenities. Keeping these aside, the government is strongly focused to bring top most private universities and business schools to the state and mostly to the capital city Amaravati. Usually, the government doesn’t hold any power over the private universities and deemed universities of the state. Those institutions have their own standards and curriculum for the students including their own fee structures. The reservations and scholarships were also completely absent in such universities and where the students have to opt for third parties for educational loans. In each university over 350 companies come to recruit the students in every year. “The land for the capital has been pooled from the farmers for the construction of capital and its development. The 29 villages of Amaravati have got only a single government junior college and not even posses a degree college. The government should focus in establishing some of its own colleges prior to the allotment of private universities and international schools. the universities like VIT,SRM and others so called were here to make business with education and the state government should rethink their decision,” said former MLC KS Lakshmana Rao. VIT is coming to Andhra Pradesh! Sekar Viswanathan, Vice-President, University Affairs, VIT University, today presented a cheque of Rs. 50 Crores to CBN towards cost of land allocated to the premier university in the capital region. VIT University was recently ranked the No. 1 Private Engineering Institution in India by Ministry of Human Resource Development, Government of India. The university is expected to provide higher education in various streams to at least 5,000 students in eight years from the start. After bifurcation of the State, Chennai-based Vellore Institute of Technology (VIT) is the first University to set up campus in Amaravati, the new capital of Sunrise Andhra Pradesh. The VIT campus will start operating from the next academic year, in July 2017. The University will issue B. Tech. application forms from November 9 and admission-seekers will have to write the mandatory VIT Engineering Entrance Examination (VITEEE) to secure a seat. The last date for submitting the application is February 28, 2017. The cost of the application (offline) is Rs.990 and (online) Rs.970. The computer-based VITEEE will be held from April 5 to April 16, 2017 in 120 cities across India and abroad. “VIT in Amaravati will provide world class education to students of this State, and will help the Government realise its dream to make Amaravati a knowledge capital of India,” G. Viswanathan, the founder and Chancellor of the University told a press conference here on Tuesday. Pointing to the fact that the Government of India had ranked VIT as the best private engineering institution in its maiden ranking of higher education institutions, he said the survey was carried out through the National Institutional Ranking Framework (NIRF). He said 14 B.Tech. programmes of the university had received accreditation by ABET, U.S., which rendered them on a par with the best in the world. “VIT also has the highest ‘A’ grade accreditation from NAAC,” he added. In 1984, the institution was founded by Dr. Viswanathan, a former Parliamentarian and former Minister of Tamil Nadu, as Vellore Engineering College with 180 students. The institution got the deemed university status in 2001. The Chennai campus was started in 2010. Both the campuses put together, VIT has 32,000 students enrolled in 53 undergraduate, graduate and PhD programmes. The students hail from all the states and Union Territories of India and also from 56 countries. More than 21,000 students live in the on-campus hostels. VIT has signed an MoU with more than 200 universities all over the world. This helps the students to get a strong international exposure and prepares them for the world market. VIT also provides scholarships for students who undergo the Semester Abroad Programme (SAP). Students also have the option of studying two years at VIT and two years at one of the partner universities in the U.S., Australia and U.K. to get their foreign degree. Dr. Viswanathan said that at VIT-AP, the thrust would be on mandatory work experience in industry, focus on engineering and technology competencies, hands-on experience, real world industrial applications, international exposure and fully flexible credit system. To start with, the University will offer courses in B. Tech (Computer Science, Electronics and Communication, Computer Science and Engineering with specialisation in Networking & Security, Electrical and Electronics, Computer Science and Engineering with specialisation in Data Analytics and Mechanical Engineering). This is in addition to a five-year integrated M.Tech. Software Engineering (entry after 12th standard) and PhD. Sale of application forms for VIT University Engineering Entrance Examinations (VITEEE-2017) for B. Tech courses commenced in 42 head post offices on Wednesday. The university’s chancellor G. Viswanathan launched the sale of applications at the Head Post Office, Vellore. According to a press release, the entrance examinations for admission to B.Tech courses offered at the VIT University’s campuses at Vellore, Chennai, Andhra Pradesh and Bhopal are scheduled to be held from April 5 to 16, 2017. The Computer Based Test would be held in 119 cities including Dubai, Kuwait and Muscat. The forms can be obtained by sending a demand draft for Rs. 990 drawn in favour of VIT University payable at Vellore to the Director – UG Admissions or by cash payment at selected post offices across the country. Issuing of online and offline application has commenced from Wednesday. Candidates can also apply online at www.vit.ac.in. Online applicants need to pay Rs. 970. The last date for applying is February 28, 2017, the release said.